Coleman tent stakes/pegs are perfect for holding down tents and/or canopies. The sturdy material is shaped to a point to anchor into the ground, and feature a non slip hook. 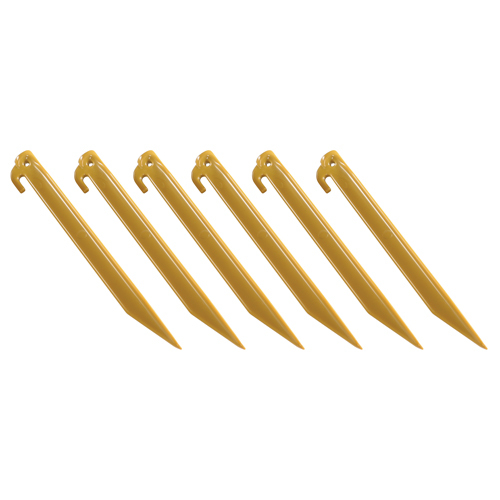 The ABS material makes set of 6 stakes rust proof for longevity.